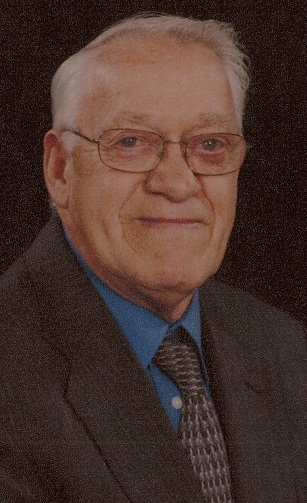 George C. Kincaid, 86, of Moline passed away March 19, 2019 at Bickford of Moline. Funeral services will be 10am Friday at Christ United Methodist Church in East Moline. Visitation will be 4-7pm Thursday at Schroder Mortuary in Silvis. Burial will be in Greenview Memorial Gardens, East Moline. Memorials may be made to the Church or Heartland Hospice. George was born February 22, 1933 in Carbon Cliff, IL the son of Earl and Madge Kellums Kincaid. He served in the Navy during the Korean Conflict. George married Betty Cobb September 24, 1955 in Geneseo. She passed away September 25, 2015. He worked for 36 years for the East Moline School District 37 in the maintenance department. He was a member of AFSCME where he was past president, VFW where he was past Commander, United Methodist Men and Boy Scout troop 100. He enjoyed bowling, woodworking and was a jack of all trades. Survivors include his children Kathryn Killion, East Moline, Keith (Linda) Kincaid, Moline, and Jayne (Stan) Cooper, Geneseo; grandchildren, Holly (Jim) Van Vlymen, Macomb, Anne (Phil) Randall, Orion, Brandon Klavine, Milan, twins Chase and Aksel Kincaid, Moline, and Jack Cooper, Geneseo; great-grandchildren, twins Luke and Logan Van Vlymen, Macomb and a brother Richard Kincaid, Geneseo. George was preceded in death by his parents, wife, 1 brother and 4 sisters including his twin sister.